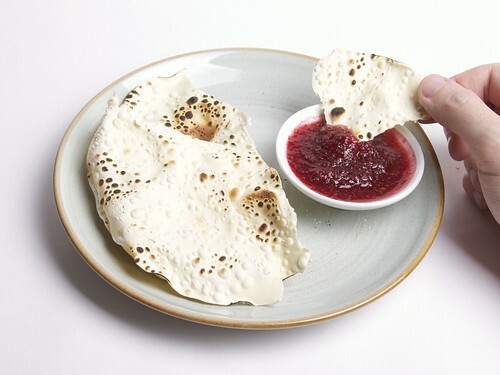 Or, How to make Indian-spiced cranberry sauce. 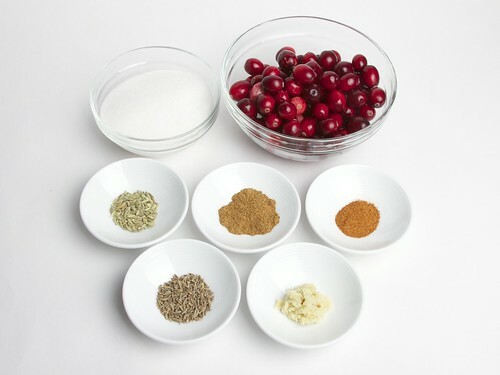 With Thanksgiving fast approaching, it’s the time of the year when fresh cranberries are in the stores, and it’s also the time of the year when we are looking for unusual flavor combinations for traditional ingredients. 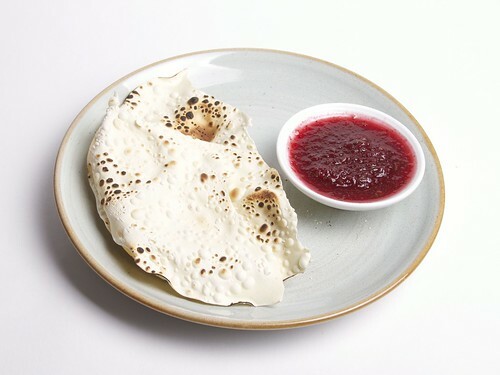 In that spirit, here’s a fantastic sweet, spicy and savory Indian-style cranberry chutney modeled after our favorite tamarind chutney recipe from the excellent Indian cookbook, Indian Home Cooking. 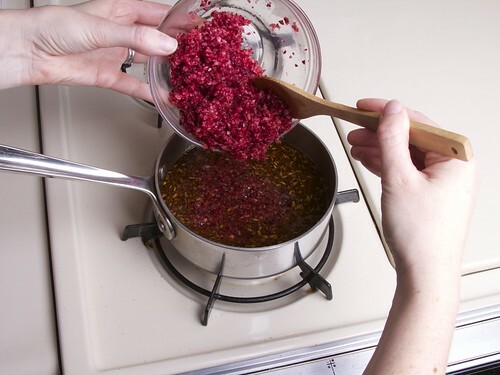 Cranberries are tart like tamarind, so they work well here and bring a distinct new flavor to a familiar sauce. *Don’t have garam masala? 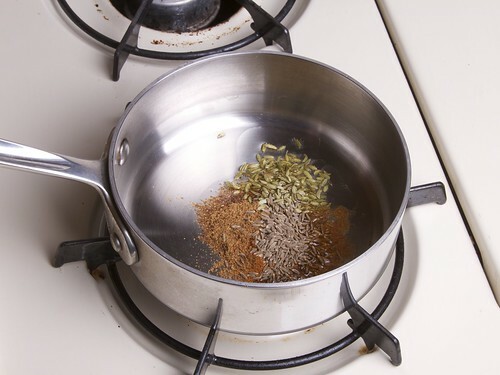 That’s okay, you can leave it out, or you can substitute 1/2 tsp ground coriander, 1/4 tsp ground cumin, 1/8 tsp ground cinnamon, 1/8 tsp ground cardamom and a pinch of ground cloves, or any subset of these that you do have on hand. 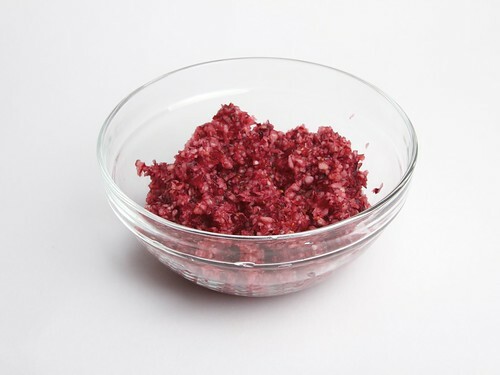 Mince the cranberries in the food processor. 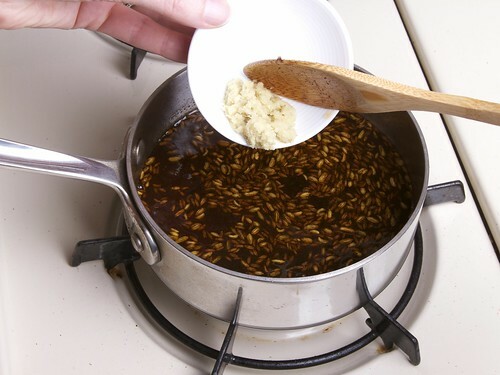 Heat the oil and the dried spices in a small saucepan. 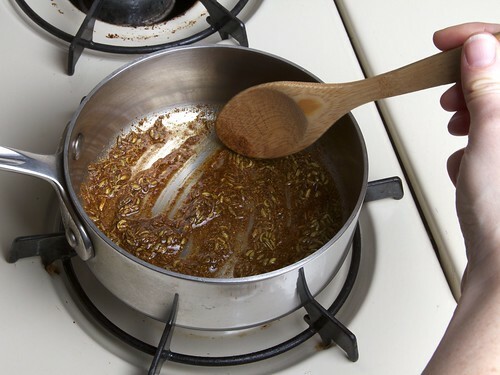 After the oil is hot, cook for about a minute, stirring. Add the water and stir. 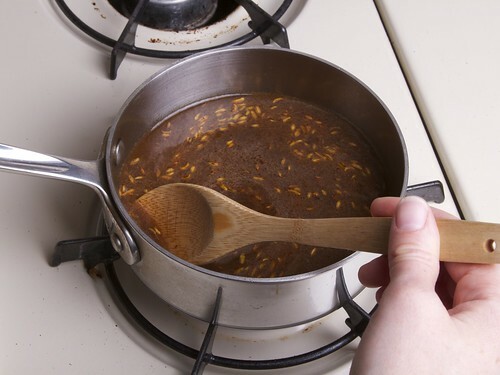 Increase the heat and bring the water to a boil. 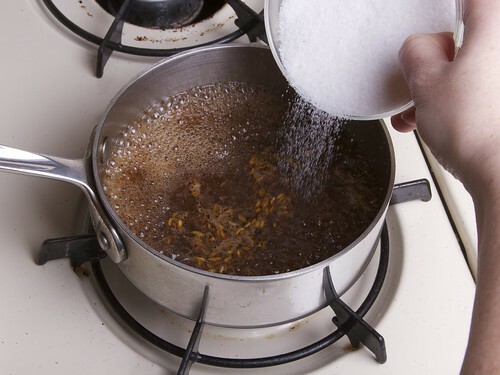 Add all of the sugar and stir to dissolve. Simmer over low heat, stirring occasionally. 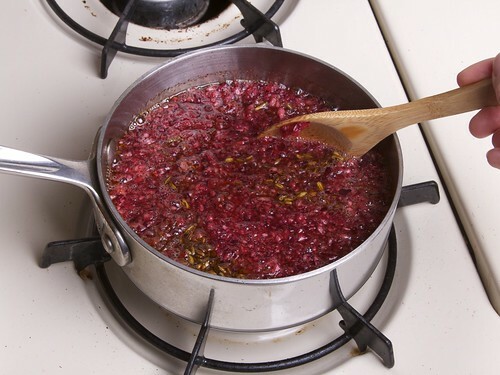 Cook until the cranberries are completely softened and the sauce is thickened, 30 to 60 minutes. Works equally well with naan and papadums or biscuits and mashed potatoes. This entry was posted in Play with your food and tagged food. Bookmark the Permalink. Nice! 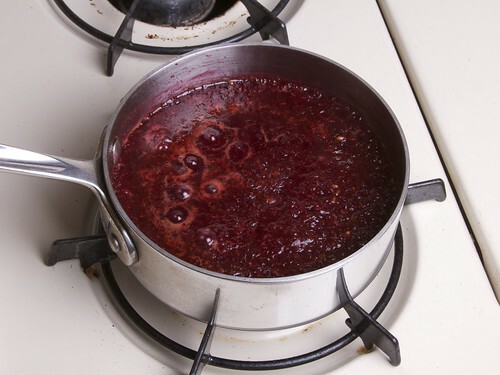 That looks waaaaay better than plain old canned cranberry sauce.